It’s Friday, and that means more jazz. Today’s genre is Afrobeat, which emerged in the late 1960s/early 1970s. Afrobeat fuses a number of different types of music with jazz, including funk, highlife, rock, and folk music from West African cultures. In this video, Beasts of No Nation, it’s easy to hear the different styles of music added as layers underpinned and unified by drums. The lyrics of many Afrobeat tunes are very political; the album of the same name, Beasts of No Nation, was an anti-apartheid statement released in 1989. Recommended read to accompany today’s musical selection: The Wealth of Nations by Emmanuel Iduma (Guernica magazine). Lots of developments yesterday in the #AppleVsFBI story. In support of Apple, big names in tech file amicus briefs to meet deadline. The two most powerful briefs constituted a who’s who of Silicon Valley. Amazon, Box, Cisco, Dropbox, Evernote, Facebook, Google, Microsoft, Mozilla, Nest, Pinterest, Slack, Snapchat, WhatsApp, and Yahoo filed one joint brief. AirbNb, atlassian, Automattic, Cloudflare, EBay, Github, Kickstarter, LinkedIN, Mapbox, Medium, Meetup, Reddit, Square, SquareSpace, Twilio, Twitter, Wickr filed the second. There were several other pro-Apple briefs filed, but none with the economic clout of these two briefs. Cato’s Julian Sanchez may have the best take on yesterday’s filings. Michael Ramos, the San Bernardino County DA, exposed his lack of technology prowess in an ex parte application to participate as Amicus Curiae. Emphasis mine. WHAT. EVEN. Dude just screwed law enforcement, making the case (using a made-up term) for the iPhone to never be opened. The investigation into state-run oil company Petrobras now reaches deeply into the highest levels of Brazil’s government. Investigators are looking into former president Luiz Inacio Lula da Silva’s role in Petrobras’ corruption, including kickbacks and influence peddling. The investigation’s discoveries threaten the viability of current president Dilma Rousseff’s ruling coalition. Wonder if the NSA was following this when they were spying on Petrobras? Absolute insanity: Amazon’s Kindle devices no longer encrypted (Motherboard) — Well, nobody in this household is getting a Kindle any time soon. Joint US-UK college hacking competition this weekend (Phys.org) — Wanna’ bet some of these students will be asked about hacking Apple iPhones? Connecticut wants to ban weaponization of drones, thanks to stupid teenager’s home project (Naked Security) — Seems like a federal issue, IMO, but let me guess the gun lobby will step and whine about gun-enabled drones as a Second Amendment right. Surely our forefathers anticipated flying, cellphone-controlled privately-owned gun drones. Ugh. That’s a wrap on this week, stopping now before this really devolves though I can’t see any distance between here and absolute bottom. Have a good weekend! Why Does France Get Publicly-Reported Phone Calls? The White House just released a readout of a call between President Obama and French President François Hollande pertaining to the spying revealed yesterday by Le Monde. The President spoke today with President Hollande of France. The United States and France are allies and friends, and share a close working relationship on a wide range of issues, including security and intelligence. The President and President Hollande discussed recent disclosures in the press – some of which have distorted our activities and some of which raise legitimate questions for our friends and allies about how these capabilities are employed. The President made clear that the United States has begun to review the way that we gather intelligence, so that we properly balance the legitimate security concerns of our citizens and allies with the privacy concerns that all people share. The two Presidents agreed that we should continue to discuss these issues in diplomatic channels moving forward. The two leaders also discussed the ongoing violence in Syria and the importance of a political solution to the crisis. Such releases tend to be blather, so I don’t take all that much from the content of the readout. But I am interested that they released it. Remember, this is not the first conversation with an angry world leader Obama has had about the runaway NSA. Angela Merkel, Dilma Rousseff, and Enrique Peña Nieto have as well. And while Obama was in Germany not long after the initial Germany releases, and saw Rousseff at the G20 in Russia not long after the worst of the Brazilian stories, I don’t see any call with Peña Nieto. Plus, we know there was a follow-up call between Obama and Rousseff on September 16 (he was supposed to report his findings about the nature of NSA’s spying on Brazil and Rousseff; she called off her State Visit the day afterwards). I assume the Obama-Rousseff call couldn’t be spun into a happy message like this one. But what of the call to Peña Nieto? Or did he already know about the spying they did before he was elected, because content from it has been used to pressure him to keep the DEA presence in Mexico? https://www.emptywheel.net/wp-content/uploads/2016/07/Logo-Web.png 0 0 emptywheel https://www.emptywheel.net/wp-content/uploads/2016/07/Logo-Web.png emptywheel2013-10-21 18:12:492013-10-21 18:12:49Why Does France Get Publicly-Reported Phone Calls? I was actually surprised, back in May, when the White House announced a State Visit for Brazil’s President, Dilma Rousseff. 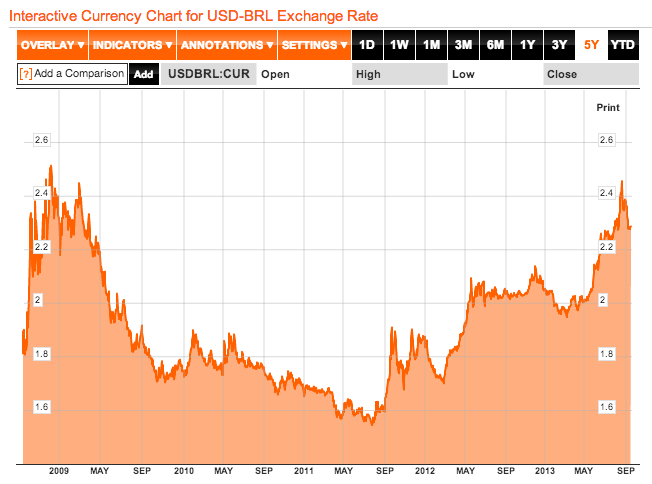 After all, not long after Obama visited Brazil in March 2011, the real started gaining value against the dollar, significantly slowing the boom Brazil had enjoyed in the wake of our crash. When she was here in April 2012, Dilma explicitly blamed US Quantitative Easing for the reversal in currencies, and suggested the policy was meant to slow growth in countries like Brazil. Before that, Brazil’s boom and its advances in energy independence had put Brazil in a position to assume the global stature a country of its size might aspire to. 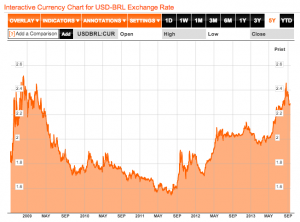 And Dilma (partly correctly) blamed US actions for undercutting that stature. I interpreted the State Dinner to be an attempt to woo Brazil away from natural coalitions with the Bolivarist governments of Latin America and the BRICS (Brazil, Russsia, India, China, and South Africa). Fast forward to today, when the Brazilian government announced that it has postponed the visit that had been scheduled for October 23. The usual suspects are mocking Dilma’s decision, insisting that everyone spies, and that Brazil is just making a stink for political gain. The White House statement echoes that, suggesting that it was the revelation of US spying, and not the spying itself, that created the problems. The President has said that he understands and regrets the concerns disclosures of alleged U.S. intelligence activities have generated in Brazil and made clear that he is committed to working together with President Rousseff and her government in diplomatic channels to move beyond this issue as a source of tension in our bilateral relationship. There is something to that stance. Dilma’s government faces a lot of unrest and the tensions of preparing for the World Cup. The portrayal that the US was taking advantage of Brazil caught her at a politically sensitive time. All that said, those poo-pooing Brazil’s complaints ignore the specific nature of the spying as revealed. As I noted, even James Clapper’s attempt to respond to concerns raised by the original reports in Brazil didn’t address (and indeed, may have exacerbated) concerns that the US is engaging in financial war, including manipulating its currency to undercut other countries as they rise in relative power. If the US is using its advantages in SIGINT to engage in such financial war, Brazil has every reason to object, because it’s not something Brazil’s currency or telecommunications position make possible. US disclaimers of industrial espionage no longer matter if the US is collecting SIGINT that would support substantive financial attacks, especially since Clapper in March made it clear the US envisions such attacks (even if they only admit to thinking in defensive terms). I’m fundraising this week. Please support me if you can. Yesterday, TV Globo published details of NSA spying on Brazil’s oil company, Petrobras, SWIFT, and financial organizations. Besides revealing that man-in-the-middle attacks are sometimes used, the report didn’t offer details of what the NSA was actually collecting. Its sources suggest NSA might be seeking Brazil’s leading deep sea drilling technology or geological information that would be useful in drilling auctions, but it is also conceivable the NSA is just trying to anticipate what the oil market will look like in upcoming years (this is one area where we probably even spy on our allies the Saudis, since they have been accused of lying about their reserves). To some degree, then, I await more details about precisely what we’re collecting and why. But what I am interested in is James Clapper’s response. He released this statement on the I Con site. It is not a secret that the Intelligence Community collects information about economic and financial matters, and terrorist financing. We collect this information for many important reasons: for one, it could provide the United States and our allies early warning of international financial crises which could negatively impact the global economy. It also could provide insight into other countries’ economic policy or behavior which could affect global markets. Our collection of information regarding terrorist financing saves lives. Since 9/11, the Intelligence Community has found success in disrupting terror networks by following their money as it moves around the globe. International criminal organizations, proliferators of weapons of mass destruction, illicit arms dealers, or nations that attempt to avoid international sanctions can also be targeted in an effort to aid America’s and our allies’ interests. What we do not do, as we have said many times, is use our foreign intelligence capabilities to steal the trade secrets of foreign companies on behalf of – or give intelligence we collect to – US companies to enhance their international competitiveness or increase their bottom line. As we have said previously, the United States collects foreign intelligence – just as many other governments do – to enhance the security of our citizens and protect our interests and those of our allies around the world. The intelligence Community’s efforts to understand economic systems and policies and monitor anomalous economic activities is critical to providing policy makers with the information they need to make informed decisions that are in the best interest of our national security. Let me take this extraordinary statement in reverse order. In the fourth paragraph, Clapper reiterates the final defense that NSA defenders use: that we’re better than, say, China and France, because we don’t engage in industrial espionage, stealing technology with our spying. That may be true, but I suspect at the end of the day the economic spying we do might be more appalling. In the third paragraph, he retreats to the terror terror terror strategy the Administration has used throughout this crisis. And sure, no one really complains that the government is using financial tracking to break up terrorist networks (though the government is awfully selective about whom it prosecutes, and it almost certainly has used a broad definition of “terrorism” to spy on the financial transactions of individuals for geopolitical reasons). But note, while the Globo report provided no details, it did seem to describe that NSA spies on SWIFT. That would presumably be in addition to whatever access Treasury gets directly from SWIFT, through agreements that have become public. That is, the Globo piece at least seems to suggest that we’re getting information from SWIFT via two means, via the now public access through the consortium, but also via NSA spying. That would seem to suggest we’re using it for things that go beyond the terrorist purpose the consortium has granted us access for. Past reporting on SWIFT has made it clear we threatened to do just that. The Globo report may support that we have in fact done that. Hahahahahaha! Oh my word! Hahahaha. I mean, sure, the US needs to know of pending financial crises, in the same way it wants to know what the actual versus claimed petroleum reserves in the world are (and those are, of course, closely related issues). But with this claim, Clapper suggests the US would actually recognize a financial crisis and do something about it. Hahahahaha. Didn’t — still doesn’t — work out that way. Glenn Greenwald’s partner, David Miranda, got detained at Heathrow for 9 hours and had his electronic devices confiscated. David Miranda, who lives with Glenn Greenwald, was returning from a trip to Berlin when he was stopped by officers at 8.30am and informed that he was to be questioned under schedule 7 of the Terrorism Act 2000. The controversial law, which applies only at airports, ports and border areas, allows officers to stop, search, question and detain individuals. The 28-year-old was held for nine hours, the maximum the law allows before officers must release or formally arrest the individual. According to official figures, most examinations under schedule 7 – over 97% – last under an hour, and only one in 2,000 people detained are kept for more than six hours. Miranda was then released without charge, but officials confiscated electronics equipment including his mobile phone, laptop, camera, memory sticks, DVDs and games consoles. Aside from the outrage over the treatment of a partner of a British newspaper’s employee, consider what it means that the UK used their terrorism law to detain Miranda (had he been transiting the US, they wouldn’t have needed to use the transparently false claim of terrorism — they can and do subject people to this treatment for no reason all the time). Does this mean the US and UK are both treating the investigation into the leak of classified information as terrorism now? If so, does that mean the US is using its counterterrorism authorities to investigate Greenwald and Snowden? Have they used the dragnet database to find their contacts? That might explain why they apparently used the FISA Court — not an Title III warrant — to go after Lavabit. But it significantly discredits both their effort to counter Greenwald and their counterterrorism efforts. If they’ll use terrorism to prevent further embarrassment, it’s really just a tool to go after dissidents. Two more thoughts. First, remember that someone already stole a laptop from Greenwald’s home in Rio. I thought it unlikely then that the US or an ally did so. I think the chances are slightly higher now. Also, I wonder how Dilma Rousseff will respond to this, especially with growing actions in Brazil against US spying. She had been moving away from the sphere of the Bolivarists in Latin America (and has a US state visit planned for this fall). But the British just treated a Brazilian citizen with the same kind of egregious treatment Europe gave to Evo Morales. Will she respond? Update: In Glenn’s piece on this, he makes it clear that fairly high level Brazilian officials were involved in this, and none too happy about it. Despite all that, five more hours went by and neither the Guardian’s lawyers nor Brazilian officials, including the Ambassador to the UK in London, were able to obtain any information about David. Update: Here’s the statement the Brazilian government has released. The Brazilian government expresses grave concern about the episode that happened today in London, where a Brazilian citizen was held without communication at Heathrow airport for 9 hours, in an action based in the British anti-terrorism legislation. This measure is without justification since it involves an individual against whom there are no charges that can legitimate the use of that legislation. The Brazilian Government expects that incidents such as the one that happened to the Brazilian citizen today do not repeat. While I was off gallivanting in England, Paraguay had a coup. Mind you, the oligarchs who staged the coup against populist Fernando Lugo cloaked it in legalistic niceties–though they’re about as convincing as (and may have taken their cue from) the Clinton impeachment. But those legalistic niceties are not persuading Paraguay’s neighbors, who are considering ways to pressure the government in response. Neighboring leftist governments were rallying to support Mr. Lugo. Argentine President Cristina Kirchner called the impeachment process a coup and recalled her country’s ambassador to Paraguay “until democratic order is re-established,” the foreign ministry said in a statement Saturday. Regional economic powerhouse Brazil condemned the impeachment and called back its ambassador for consultations while it weighs its response. The blistering pace of the impeachment proceedings didn’t give Mr. Lugo a chance to prepare an adequate defense, compromising “the fundamental pillar of democracy,” Brazil’s foreign ministry said in a statement. The Brazilian statement said that “the rupture of the democratic order in Paraguay” would be evaluated by regional trade and political groups, including Mercosur, a trade bloc comprising Brazil, Argentina, Uruguay and Paraguay. What’s most striking to me is the widespread recognition–even at the WSJ–that this bears similarities to the 2009 Honduran coup. Mr. Lugo’s impeachment raises the specter of a repetition of the long diplomatic hiatus that followed the coup that deposed Honduran President Manuel Zelaya in 2009. Honduras wasn’t readmitted to the Organization of American States until mid-2011. Which makes Democracy Now guest Greg Grandin’s comments about those similarities particularly worth noting. I’m a big fan of Kevin Phillips’ arguments about how increased financialization of their economies lead to the decline of the Spanish, Dutch, and British empires in succession; his latest book warned that Wall Street crash might represent our tipping point. But I’ve been wondering what happens to a globalized world that is that financialized, as we have now. My impression is that it might be different this time around, partly because the world is so interconnected that most of the world has, for better or worse, been integrated into the same financialized system. As James Galbraith described in his book Inequality and Instability, the the last several decades can be understood as the US first extracting wealth from the rest of the world, and only then turning to the American consumer to do to it what it had already done to developing countries. First, the massive rise of inequality in the global economy from 1980 to 2000, with a peak in most countries–including the United States–in the millennial year, is a fundamental reflection of the concentration of income and wealth among the richest of the rich, and the corresponding financial fragility affecting everyone else. Crises, and especially debt crises, are thus not new or sudden; in global perspective we see that they have cascaded across the world for a generation, hitting Latin America and African in the early 1980s, the Soviet Union and its satellites in the late 1980s and through the 1990s, and much of Asia in the late 1990s. Through this period inequality rose in the United States, but the prevalence of external crises also meant that the United States benefited throughout from its position as a refuge for capital. In the 1990s capital flowed in, especially to the benefit of investors in the technology sectors, whose investment euphoria produced a general nationwide prosperity right up to the initial crash of the technology sector–and its NASDAQ stock index–in March and April 2000. The problem facing the incoming administration of George W. Bush in January 2001 was thus twofold. Externally, there was little scope remaining for extracting capital from the rest of the world. Every region that was open to crisis, with the possible exceptions of China and India, had already had one. Internally, the appeal of the major American leadership sector had worn out. Galbraith describes how Bush tried first war and then American consumers to sustain growth, which brought about the financial crisis. The financial crisis (and the world economic crisis it engendered) thus represented not so much the natural outgrowth of rising inequality as a further phase; it was the consequence of a deliberate effort to sustain a model of economic growth based on inequality that had, in the year 2000, already ended. By pressing this model past all legal and ethical limits, the United States succeeded in prolonging an “era of good feeling,” and in ensuring that when the collapse came, it would utterly destroy the financial sector. In short, you can’t separate the current global system from the US efforts to sustain its financialized empire. But the big players in the developing world are getting cranky with US efforts to sustain its hegemony over that financialized system. The view was expressed by Wang Jisi, a high level Chinese insider, in this Brookings report documenting the roots of Chinese-American distrust (see also this NYT article on the report). Since 2008, several developments have reshaped China’s views of the international structure and global trends, and therefore of its attitude toward the United States. First, many Chinese officials believe that their nation has ascended to be a firstclass power in the world and should be treated as such. China has successfully weathered not only the 1997-98 Asian financial crisis but also the 2008-09 global financial crisis; the latter, in Chinese eyes, was caused by deep deficiencies in the U.S. economy and politics.